Anyone who has finished The Way of Kings knows that when you get to the end of the book, you want more. More story. More words. More information. More anything. Ideally, you want the next book, but as that isn't set to hit shelves anytime soon, you will have to settle for what you can get. It's a little bit lengthy than I like to post on the main page so you'll have to click through to read the whole thing. Read Part 1 of the interview after the jump. Read Part 2 of the interview over on Mad Hatter. MADHATTER: The Way of Kings looks to be your largest book to date, but it also might be the longest in gestation with even having an old Amazon page from when it was first contracted where people have written all kinds of lovely things. Can you tell us a little bit about its history? So I wrote this massive book. And then, unexpectedly, I sold a different book--one that had been sitting on an editor’s desk for eighteen months. That was Elantris--the Moshe Feder called me up and wanted to buy it, and that threw chaos into my whole worldview. At the same time--and I’ve said this numerous times before--I wasn’t a hundred percent pleased with The Way of Kings because I didn’t have the skill yet to write it. So we shelved it, and I wrote the Mistborn trilogy, which I pitched to him very soon afterward--it may have even been on the same phone call--which I was very excited about at the time. I’m very pleased with how that turned out, but it was a little bit smaller in scope. In some ways it was me practicing and learning how to write a series. And then the Wheel of Time dropped on me like a truckload of bricks out of nowhere, and I was forced to swim in the deep water and learn how to become a much better writer so I could finish such a wonderful series. During that process I learned a lot about writing. 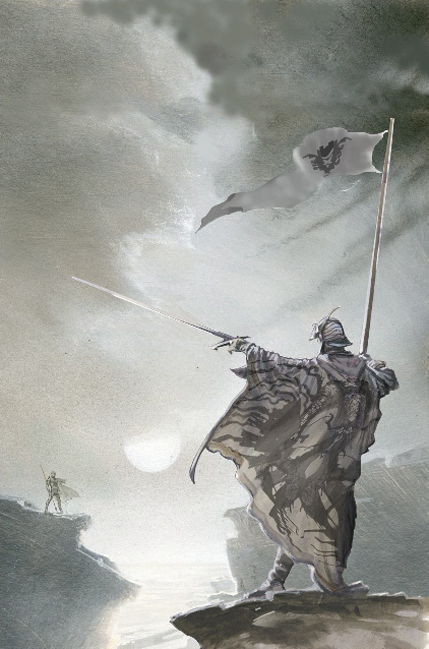 Tor started asking me what my next book was going to be and if there was any way I could get them something to put out between Wheel of Time books, so I pitched them The Way of Kings. Then I sat down and wrote it. I wrote it from scratch again; I didn’t take anything from the 2003 version of the book other than my memories of what had worked and what hadn’t. I reached back and grabbed the Shattered Plains out of that other book that I had written; I reached back and grabbed another few cool ideas that had been bounding around in my head since I’d been a kid. I poured everything into this book, everything that I had, all of my best ideas, to try to make the fantasy opus that I had always wanted to write. That’s where it came from. That’s the history. I don’t know yet if I’ve been successful, and I won’t know for many years, until we see whether it stands the test of time. YETISTOMPER: Structurally, The Way of Kings is fairly unique. There are 3 main POV characters in Kaladin, Dallinar, and Shallan, a handful of minor POV characters Szeth, Adolin, and then The Asides in which we only get a few pages of material largely unrelated to the overall plot. How will the cast grow and change in future volumes? Are you thinking of keeping each volume to a similar number of POVs or expanding it? SANDERSON: There will be a similar number, with a small expansion. At this point I believe you have met every one of the major viewpoint characters for the series. I don’t want it to spiral out of control. I think too many viewpoint characters is a danger to epic fantasy, putting a writer in difficult predicaments for subsequent books--whether to leave some characters out, or whether to show a little bit of each of them without getting any major plot arcs for any of them. So you’ve seen pretty much everybody. Now, at this point there are several who are major viewpoint characters for the series who we have not had many or any viewpoints from yet--Jasnah is one, a character who shows up in the epilogue is another, and there are a few others--but there are in my mind essentially eight or ten major characters in this series, and it will stick to that. The interludes will continue to be what they are, which is that those characters may show up again, but it’s unlikely that there will be many more viewpoints from them. The interludes are there because I wanted to have my cake and eat it too--I wanted to have the big sprawling epic with a lot of major viewpoints that we spend a lot of time on like Robert Jordan did, but I also wanted to have the quick jumps around that George R. R. Martin does, and they’re two masters of the genre. And so I decided on the interludes as a way to jump around and show the world, to give depth and to give rounding to what’s happening--give you little glimpses into important aspects of the world--but those characters are not people you have to remember and follow. Each of the interludes will have one character that you need to pay attention to, but you can take the interludes and read them and without having to focus too much on remembering and keeping track of what their plot is. Then you can jump back into the main characters. And that’s always going to be the case in the books to come. Each book will also have one character who has flashbacks throughout that book--we’ll stick to one per book, and you will find out how they ended up where they are as we dig back into their past. YETISTOMPER: How are you applying lessons learned from your work closing Robert Jordan's epic series in beginning your own? SANDERSON: I’ve already talked about it a little bit--one of the things is learning how to approach the middle books, specifically how to use the form to enhance the novel as a whole. 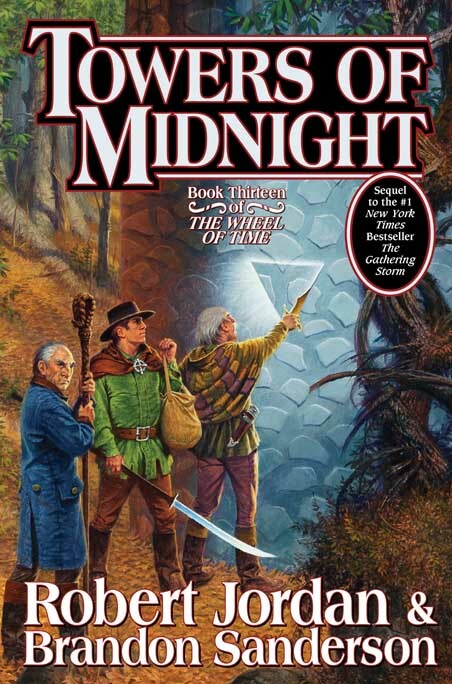 One of the big things I’ve learned from Robert Jordan recently is foreshadowing. I used to think I was good at it until I really sat down and studied what he was doing. Another thing I think I’ve learned a ton about from him is viewpoint; excellent use of viewpoint is one of the ways to keep all your characters distinct. In addition, juggling so many plots, etc., all of these things have forced me to grow as a writer and have helped me quite a bit with writing The Way of Kings. MADHATTER: Did you move a lot of sections around during the development? It certainly seemed as though Kal's parts could go in a different order or start his story from the bottom and work out how he got there. SANDERSON: Yes, I did move things around a lot, particularly between the first draft of this book in 2003 and this draft. Things have jumped around all over the place, and even at the last minute I was moving different things between parts. Dalinar moved around more than Kaladin did because I was trying to decide where I wanted his ending in part two to happen. I wanted each of the parts to have its own climactic sense, to have a good ending particularly for the characters who didn’t continue in the next part, when Dalinar and Shallan were alternating. So there was a lot of juggling and trying to decide—for instance, the prelude was added very late in the process. I’d had the prologue and decided I needed a second prologue as the prologue to the series, which is where the prelude came from. Kaladin’s entire sequence, with the flashbacks and things, was decided on early on, but remember I’d written this book once before. At the end of his flashback sequences, he makes a decision. Where this book deviates from the original I wrote in 2003 is that in the old version he actually made the opposite decision, and it happened in chapter one. Now we get to see flashbacks of him making the other decision, which works so much better. It’s one of those things where I was beating my head against the wall for years trying to figure out how to make his character work. His character was the part of the original The Way of Kings Prime that had not worked, and it took me years to figure out how to make his character work right. That one decision of his was the turning point. YETISTOMPER: Is there a relationship between Soulcasting and Spren? SANDERSON: Yes, there is. But I will not elucidate any further at this time. YETISTOMPER. 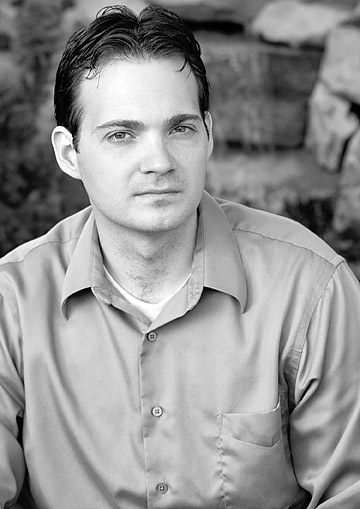 How do you set out to write a 1,000 page book? How do you set out to write a 10 volume series? How did you make a decision what to include in The Way of Kings and what to leave out? SANDERSON: Lots of trial and error, mixed with a very, very detailed outline. I spent a lot of time on my outline, and it’s very expansive. But really, this is a question to ask after I’ve finished the series. Right now I’m very optimistic about being able to do it all. Let’s see if I can actually pull it off. YETISTOMPER. 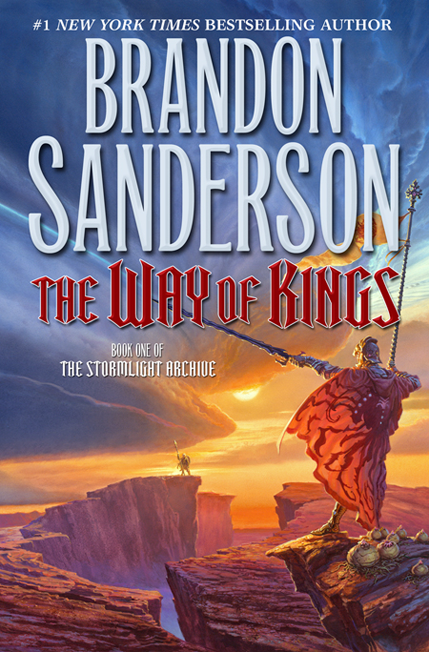 Will The Stormlight Archives have prolonged mystery to rival that of Asmodean's Murder? SANDERSON: You know, that’s really going to depend on the fans and what they latch on to. I think the first book has plenty of mysteries. But what makes Asmodean different is that everyone latched on to it and fell in love with it. As I’ve said, Robert Jordan was a genius at foreshadowing and subtlety. I’m not going to sit down and say, “I’m going to put in something like Asmodean.” I don’t think that’s something I could set out to put in. I just have to set out to write the best story I can, with plenty of mysteries and what’s going on behind the scenes. The whole Hoid thing is something that hopefully people will be curious about, because it’s supposed to be interesting. But I don’t think you can set out to write something to parallel Asmodean. YETISTOMPER: The Way of Kings serves mostly as an introduction to the world of The Stormlight Archives but only hints at the larger story arc. With the long wait before Book 2, can you provide hungry fans with any teasers? SANDERSON: What Jasnah is trying to do in this book becomes very important to the next two books. That’s a very big teaser. The second book will delve much more deeply into the magic; particularly, Shadesmar will be much more of an important aspect. I don’t want to give spoilers. A lot more magic. I’m telling the story about the awakening of an Age of Legends-style world of mechanical magic, and you can look forward to seeing a lot more of that. We only hint at it here. A very important discovery was made by some characters in a random interlude that will have long-lasting ramifications. That's it for Part 1. 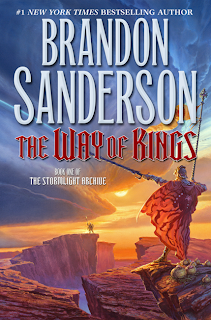 Part 2 will be available over on Mad Hatter's Bookshelf and Book Review on Friday with even more information about subsequent entries in The Stormlight Archives, some of Sanderson's inspirations, and his favorite type of clothing to wear on his head.